That’s when our team of experts can make an overwhelming difference. We believe our residents are the extraordinary people who refuse to allow temporary setbacks or disabilities to affect them permanently. 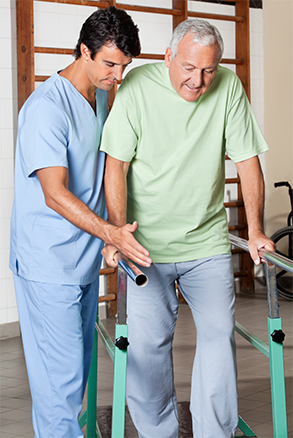 Their determination and effort become invaluable tools in the rehabilitation process. Their determination and effort become invaluable tools in the rehabilitation process. Up-to-date, high-tech equipment is key to every medical specialty. This is especially true of rehabilitative care. At Treviso, we’ve invested in the most innovative and advanced technology and equipment. Just as is the case with every action we take as part of a patient’s rehabilitative plan, the technologies we utilize contribute to excellent patient functional independence and outcomes.